(Reuters) - D.R. Horton Inc (DHI.N), the No. 1 U.S. homebuilder, reported lower-than-expected revenue for the final quarter of the year as its home sales fell in all regions but the Southeast. The company's homebuilding revenue increased 4.5 percent in the quarter - the smallest growth in more than four years. Shares of the company, which sells under the D.R. Horton, Express Homes and Emerald Homes brands, fell as much as 6.8 percent in morning trading. Orders, an indicator of future revenue, rose to 8,064 homes in the quarter from 7,370 a year earlier, but fell short of the estimate of some analysts due to a 28 percent decline in the Midwest region. Susquehanna Financial Group analyst Jack Micenko had expected orders for 8,320 homes. The Fort Worth, Texas-based company's net income rose to $157.7 million, or 42 cents per share in the first quarter ended Dec. 31, from $142.5 million, or 39 cents per share, a year earlier. Homebuilding revenue rose to $2.34 billion from $2.24 billion. 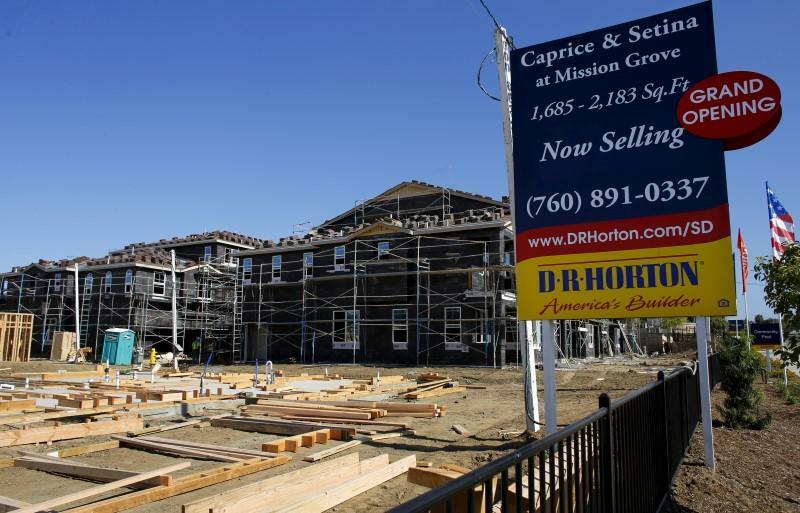 Analysts on average had expected the company to earn 41 cents per share in its first fiscal quarter, on homebuilding revenue of $2.40 billion, according to Thomson Reuters I/B/E/S. Up to Friday's close of $27.71, D.R. Horton's shares had fallen 13.5 percent this year.